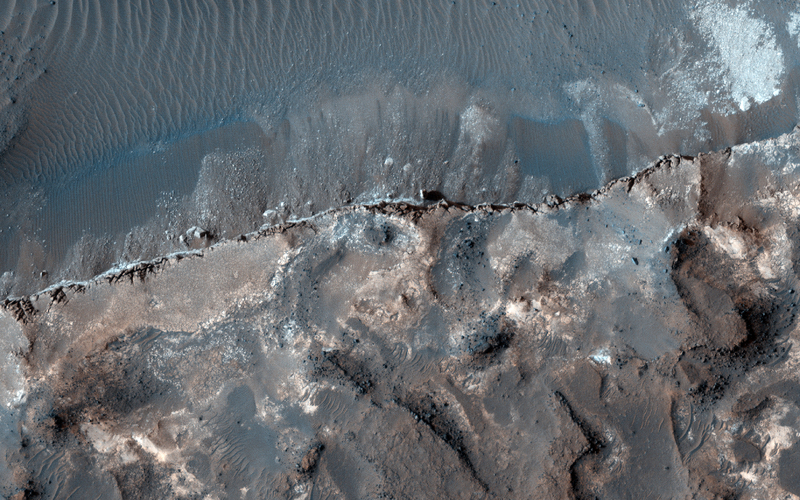 This image shows eroding layered deposits in Ritchey Crater, a large impact crater in the Southern highlands. Three general units are visible: a relatively dark upper layer, a light middle unit, and the floor material, which may be mostly obscured by dust. The dark cap layer appears to be relatively hard and resistant, while the light material is weak. Once the upper layer is removed, the light layer does not last long. 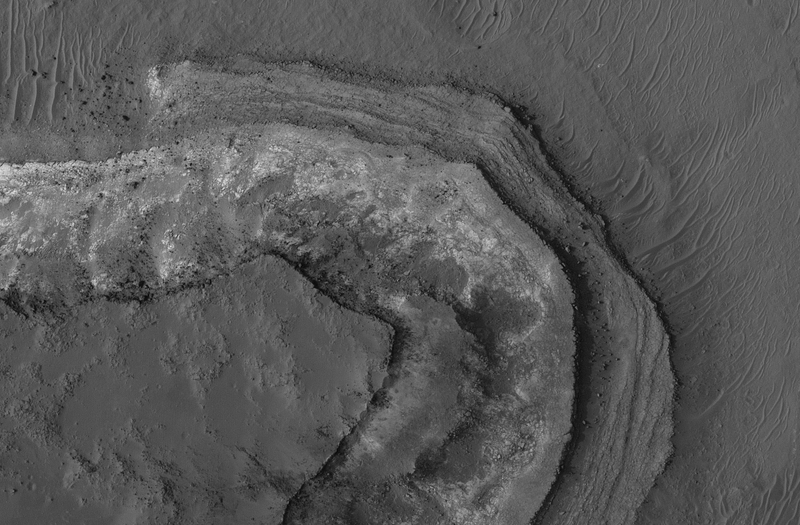 This subimage from the top center part of the image shows this stack. The dark unit is thin and breaking into boulders. The light material is actually divided into smaller layers, and is pervasively fractured. However, the boulders falling from the edge are mostly small and rarely remain intact if they move more than a few meters. The cracking of the layer could be due to water loss from the layer, or to regional tectonic effects such as stresses from burial and erosion. The base unit is partially covered by wind-blown ripples. It is unclear how each of these layers formed. 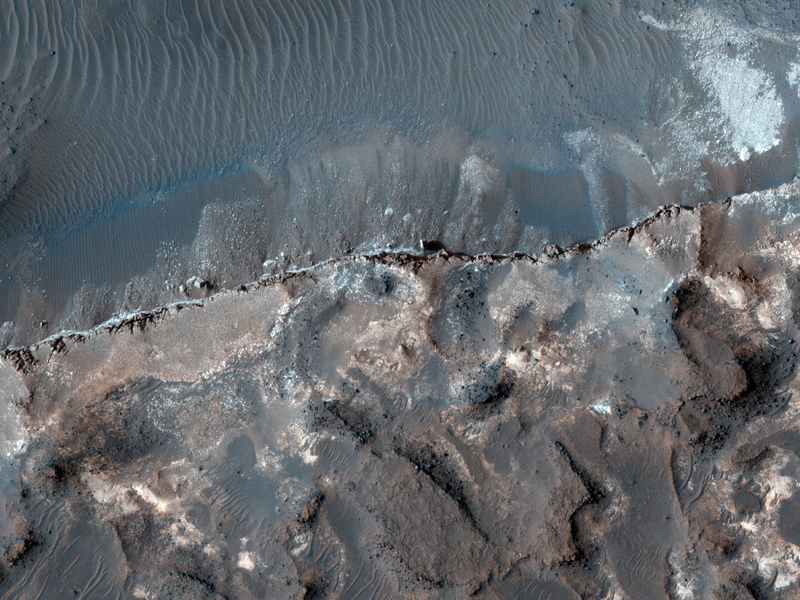 Volcanic ash layers, lake or stream deposits, or sandstone deposited by dunes can all produce horizontal layers. 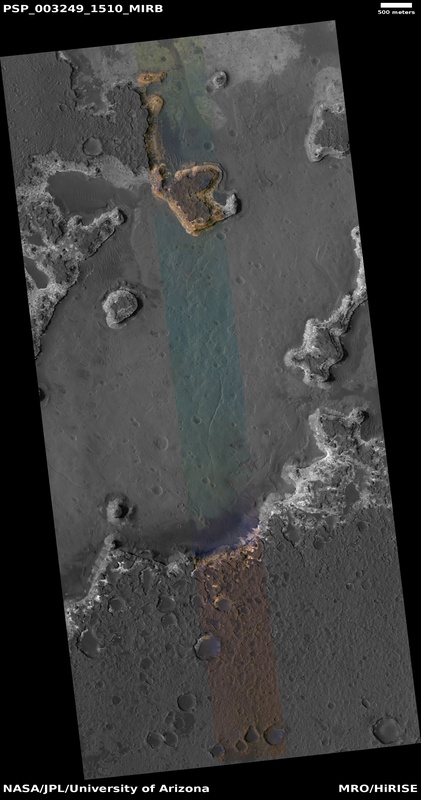 Unraveling the origin would provide important clues to Mars' past. This is a stereo pair with PSP_003526_1510.